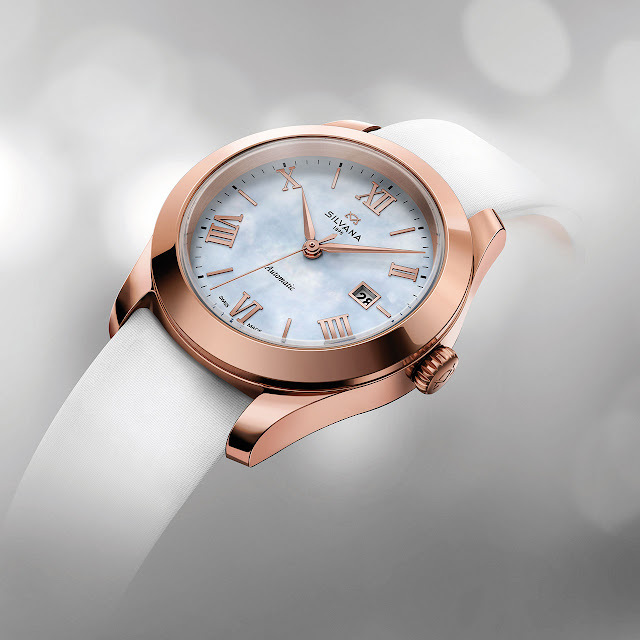 After presenting it in a 38 mm diameter, Silvana interprets its Lady LeMarbre in a novel feminine model. 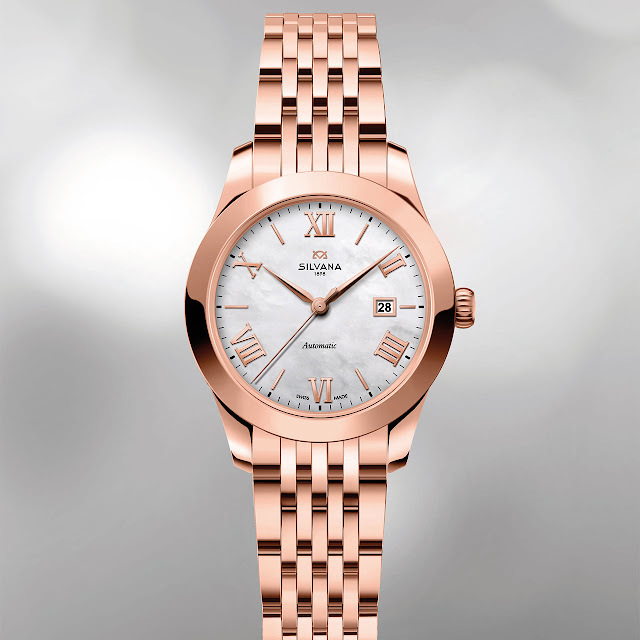 Its 28 mm case makes this an unequivocally elegant watch, a style statement distinguished by the warm glow of its pink PVD-treated case and further enhanced by its white mother-of-pearl dial. It nonetheless remains a full-fledged member of the LeMarbre collection, which expresses the timeless values of understated watchmaking. This new model is thus the first Silvana ladies’ watch to be equipped with a mechanical automatic movement, discreetly decorated and visible through the caseback. Fitted with a white satin strap, this Lady LeMarbre 28 mm expresses its delicacy and sensuality in a subtly gentle manner. Nor are men neglected, since there is also a paired set in which the two timepieces are presented in a unique box. Mechanical automatic, ETA 2671 calibre, 25 jewels, 28,800 vib/h, 38-hour power reserve. Pink gold PVD-treated stainless steel, 28 mm. Sapphire crystal and mineral caseback. Water-resistant to 50 metres (5 bar/165 ft).